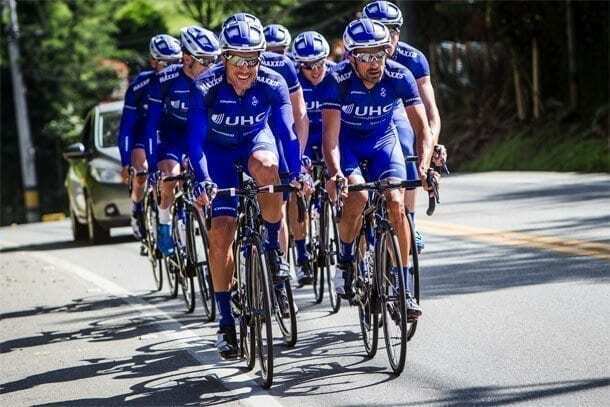 The UnitedHealthcare Pro Cycling team has announced several new sponsorships for 2017 and will be partnering with some of the cycling world’s most innovative and well-respected brands. One of the most exciting new 2017 partnerships is Orbea, who is supplying UnitedHealthcare Pro Cycling with top-of-the-line bike frames. Founded in 1931, the Spanish frame company is no stranger to designing and producing the fastest, most responsive and competitive frames available on the market today. During the season, the men’s team will ride the Orbea Orca OMR while the women’s team will ride the Orca OMP for road races and the Orbea Ordu in time trials. The Orbea frames will be built with top-notch Shimano Dura Ace 9001 components and wheels. To complete the UnitedHealthcare Pro Cycling team racing machine, Momentum Sports Group welcomes new sponsors FSA and Vision, who will provide bars, stems, and seat posts. Prologo will supply the team’s lightweight, yet durable saddles. Jakroo will supply the team’s completely redesigned kit for 2017. Primarily known for creating custom cycling kits, Jakroo offers the UnitedHealthcare Pro Cycling team kit on-demand in their webstore. “Jakroo is a growing company with great products and a culture steeped in racing. 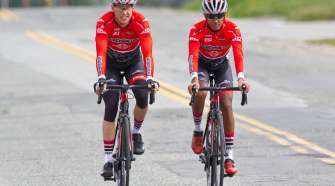 Our partnership with UnitedHealthcare Pro Cycling will help spread our love of racing to an international audience, and showcase the fit, form, and function of our top level custom products,” said Ben Jacques-Maynes of Jakroo. Also new for 2017 is Honey Stinger, who comes on board as the nutrition partner. Honey Stinger will keep our athletes fueled with a variety of tasty honey-based gels, chews, bars and their famous Stinger waffles. A busy racing schedule means the UnitedHealthcare Pro Cycling team will log in plenty of travel miles, which is why Momentum Sports Group is proud to have Ogio as a new luggage partner. With Ogio providing functional yet fashionable travel luggage, as well as the race-day 9.0 Athletic Bag, athletes can quickly organize and protect their gear wherever they go. Muc-Off will provide chain treatments, cleaning products, along with the exclusive nano-chain. Finally, complimenting the addition of a high-performance director for 2017, Momentum Sports Group has partnered with Training Peaks to help our athletes track and improve their racing performance. 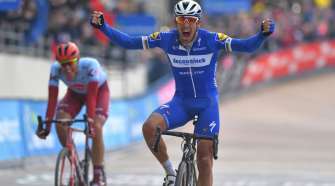 UnitedHealthcare, persevering with their goal of encouraging a healthy and active lifestyle, continues as the title sponsor for the team in 2017. 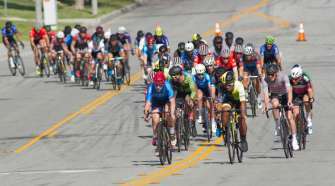 Momentum Sports Group is delighted that 11 other long-time partners have returned for another promising race season.